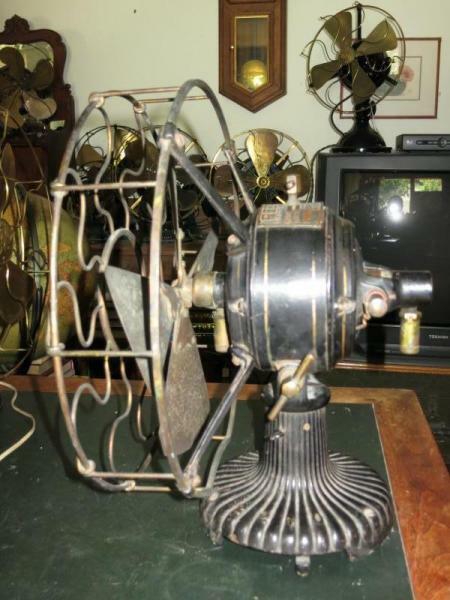 Look at Emerson Trojans, probably most Daytons, earlier Diehls, Western Electric bipolar, Eck, Interior Conduit, Fidelity, Jandus, Mesco, early R&M, a number of foreign fans too and more. I also love the pizza blades. 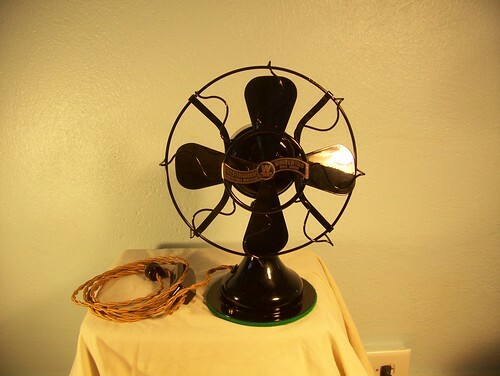 Many very early fans had the pizza blades such as C&C, Wagner, and Edison. I love the pizza wings and would like more. 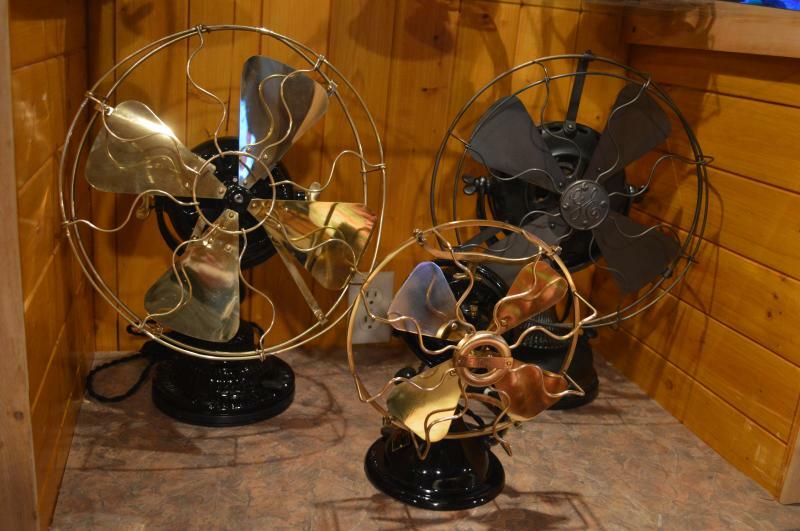 Yes Tom it seems like mostly the early expensive hard to find fans have the style blades. Haven’t seen too many affordable ones that do. I did get a really nice polar cub for about 60 or 70 bucks. 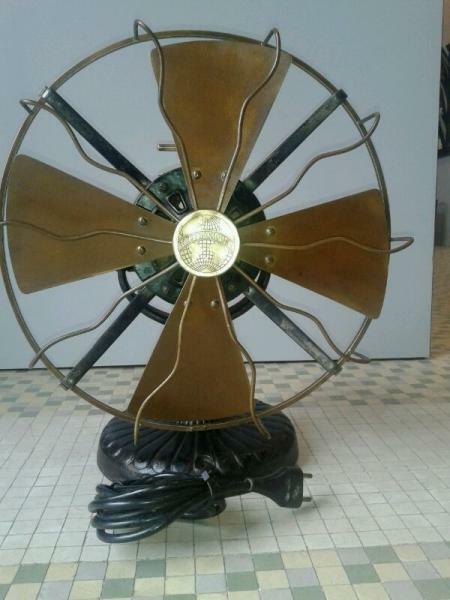 Richard Daugird wrote: Yes Tom it seems like mostly the early expensive hard to find fans have the style blades. Haven’t seen too many affordable ones that do. I did get a really nice polar cub for about 60 or 70 bucks. Very true Richard, case in point above. Most dimestore Daytons have pizza blades and can be had reasonably cheaply. Also check out the R&M 2840. 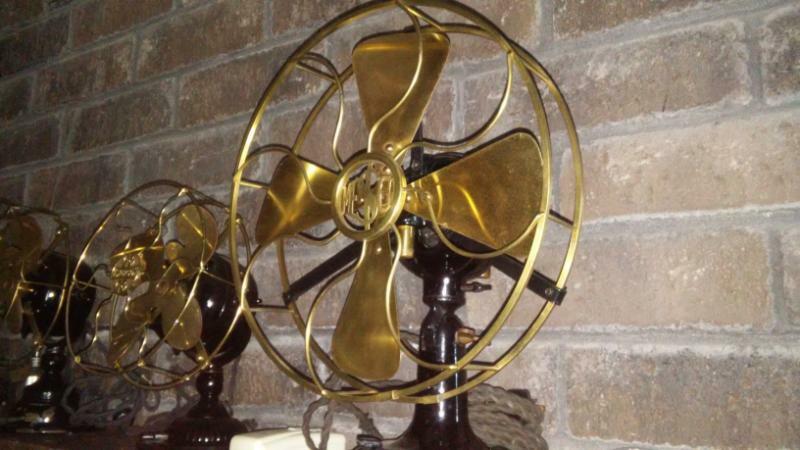 Some of the Menominee Fans like the Staghorns had Pizza Slice Blades as well (at least my Staghorn Oscillator does). Any “tank” style fans with pizza blades? That would be darn near impossible to find one. 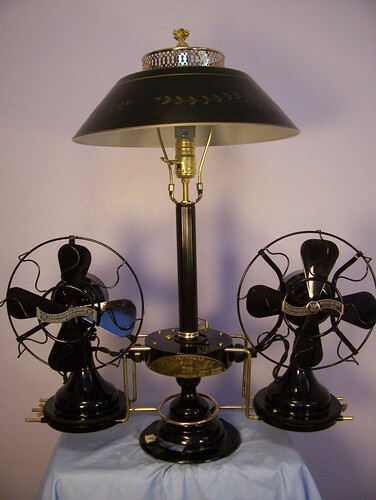 It's a DC model but the AC model (Westinghouse "pancake") can be found. Dayton 50/55 (6 wing) can be referred to as "tank style." Nice tab base to boot, but no trunnion. Dayton seems to have used the pizza slice for years after everyone else moved on. Can be had for a good price too when they show up, underappreciated in my opinion. Brian Beeson wrote: Peerless do as well! 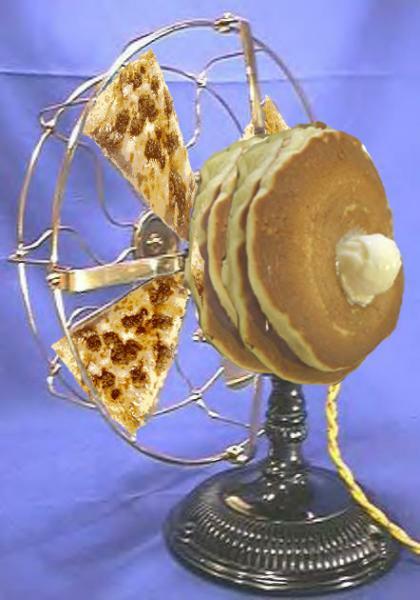 Oh, they sure do have pizza blades but so do GE pancakes. I'm undecided as to whether these little Westy Whirlwinds qualify as having "pizza slice" shaped wings. Sort of rounded pizza blade, maybe? I had one that came with a brass blade. No way of knowing if it was originally supplied that way and it was the only one I've ever seen. The blade matched exactly the steel ones so? Here's the thing. For admission to the pizza wing club, this is one of the cheapest and best of the lot. I have a couple Daytons, and few Wirlwinds, and Polar Cubs. Like "Little Ceasars" instead of Marios, the local awesome Italian restaurante. Dayton seems to have used the pizza slice for years after everyone else moved on. Page processed in 0.2460 seconds (32% database + 68% PHP). 33 queries executed.